Sylvac Indicators are made in Switzerland and feature unparalled quality and features. 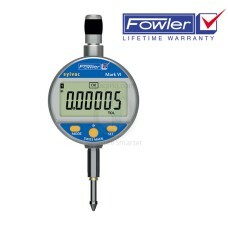 These Sylvac digital indicators feature a 5 year warranty and have excellent data transmission capabilities (optional). Choose a Mark IV, Mark V, Mark VI, S_Dial or the Quadratest indicator. The 54-530-125-0 is on sale at Gaging.com! This is the latest from the Sylvac factory in Switz.. This is the latest from the Sylvac factory in Switzerland, the new Mark VI. Electronic indicat.. The 54-530-136 is on sale at Gaging.com! This is the latest from the Sylvac factory in Switzer.. The 54-530-137 is on sale at Gaging.com! This is the latest from the Sylvac factory in Switzer.. The 54-530-145-0 is on sale at Gaging.com! This is the latest from the Sylvac factory in Switz.. The 54-530-155-0 is on sale at Gaging.com! The new Fowler/Sylvac Mark VI. Electronic ind.. The 54-530-156 is on sale at Gaging.com! This is the latest from the Sylvac factory in Switzer.. The 54-530-157 is on sale at Gaging.com! This is the latest from the Sylvac factory in Switzer.. 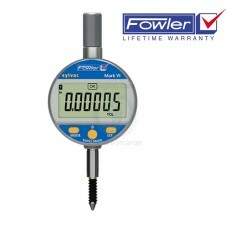 The 54-530-164 Fowler Sylvac S_Dial One Indicator is on sale at Gaging.com! MOISTURE & WEAR RES.. 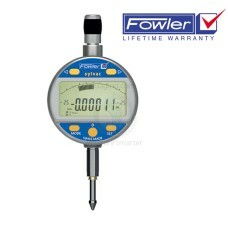 The 54-530-174 Fowler Sylvac S_Dial One Indicator is on sale at Gaging.com! MOISTURE & WEAR RES.. The 54-530-175-0 is on sale at Gaging.com! This is the latest from the Sylvac factory in Switz.. The 54-530-195 is on sale at Gaging.com! This is the latest from the Sylvac factory in Switzer.. The 54-530-215 is on sale at Gaging.com! This is the latest from the Sylvac factory in Switzer.. The 54-530-335-0 is on sale at Gaging.com! 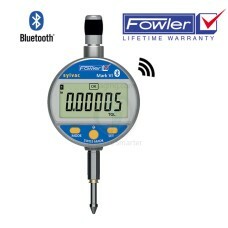 This is the latest Bluetooth/Wireless indicator fro.. The 54-530-355-0 is on sale at Gaging.com! This is the latest Bluetooth/Wireless indicator fro.. The 54-530-535-0 is on sale at Gaging.com! This is the latest indicator with Analog Display fr..